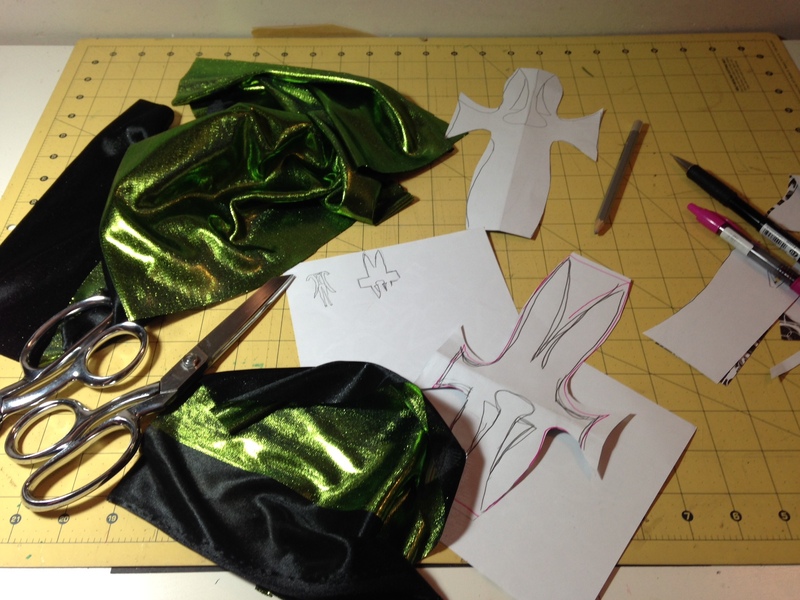 Previously, I posted pictures of the making of a squirrel suit. I am happy to report that the intended recipient was quite pleased with the results! Hurrah! 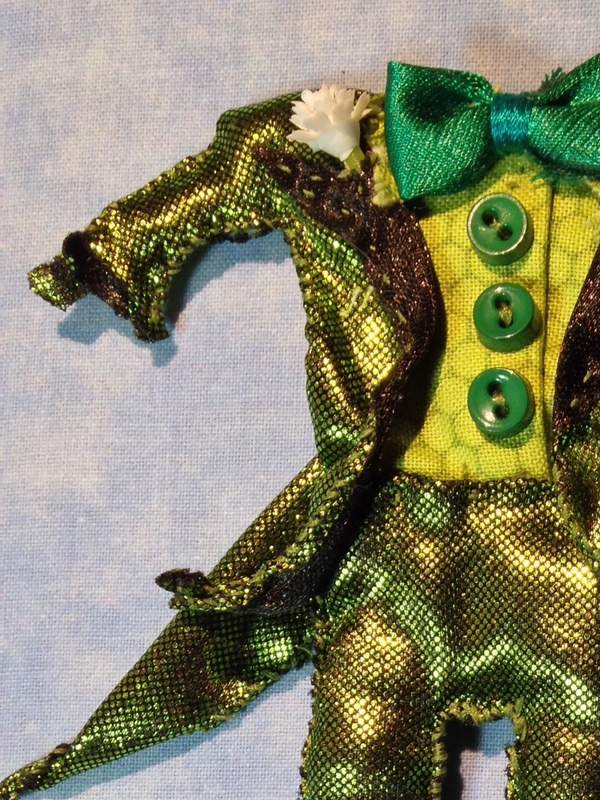 As I was putting away some fabric recently… some shiny, slippery, green fabric… I envisioned a frog suit. 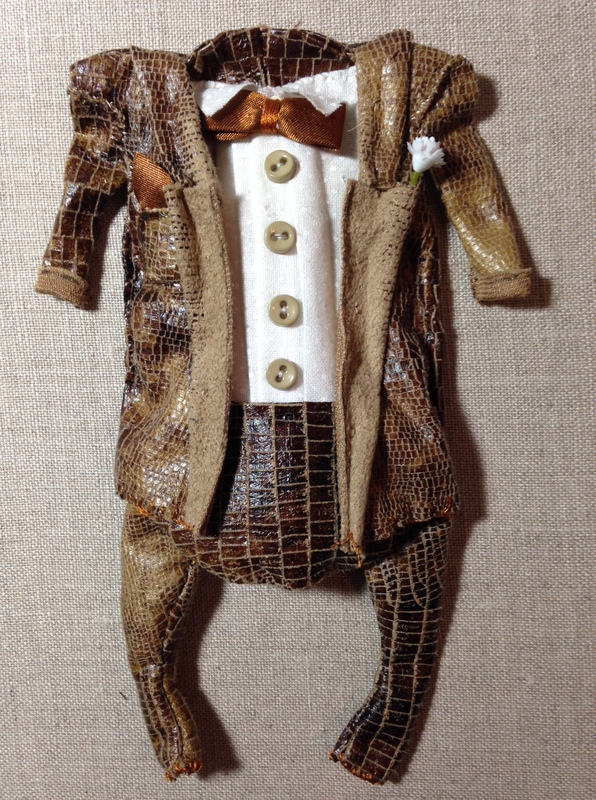 The hours melted away as I tinkered and toiled with the amphibious inseams. The hours melted so far that the sun came up! Egads! Time flies when you’re having fun. 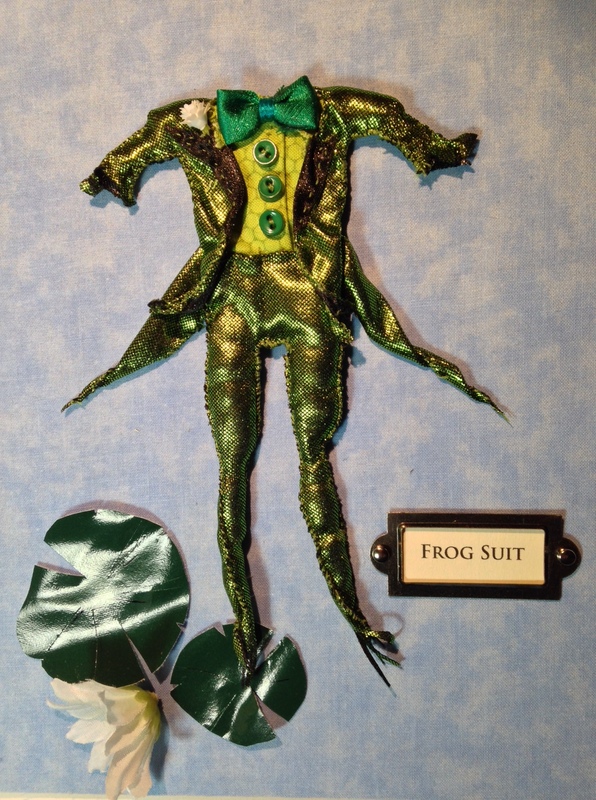 Or obsessed with mastering a suit for a frog. Or both! I couldn’t stop. It even has a lily pad.